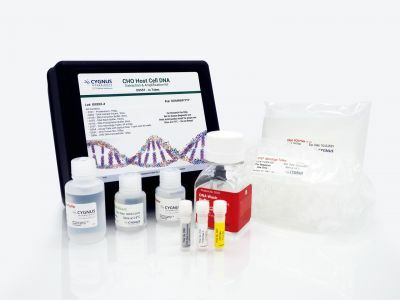 Used to measure residual CHO host cell DNA, this kit uses a 2 ml microfuge tube format and includes our proprietary extraction procedure, which does not use iodine or glycogen. The superior co-precipitating reagents do not interfere with qPCR and ensure that pellets do not become dislodged during extraction. 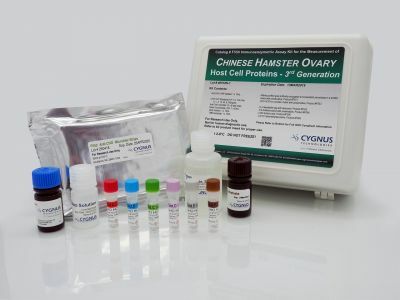 This eliminates the need to centrifiuge samples or repeat a run. 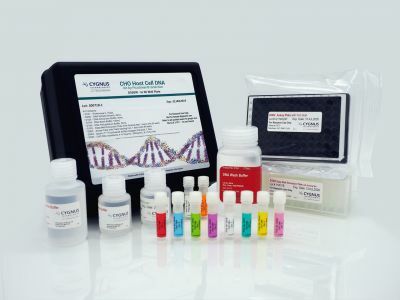 Cell line-specific, CHO DNA calibrators are included in the kit. Upon completion of extraction, samples are reacted with PicoGreen® solution. Time to completion is under 2 hours.Each kit supplies enough reagent for the analysis of 50 samples in duplicate.